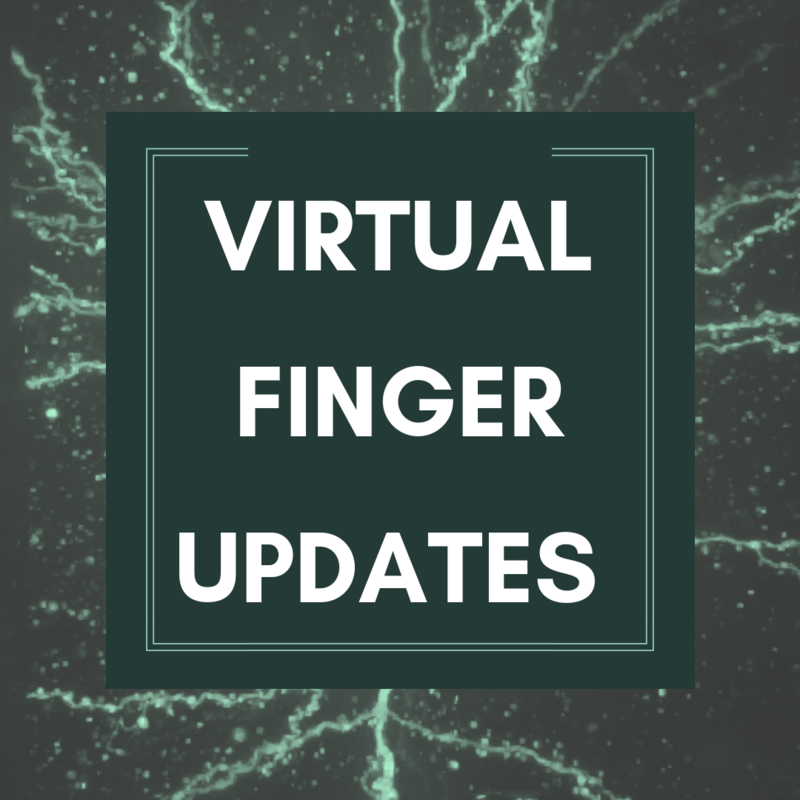 If you had given up on Virtual Finger in the past because it didn’t do what you intended, or created some weird traces, you should give it another try! We invented a brand new algorithm that is super fast, does the right thing when user makes small trace errors, and handles intelligently erroneous traces in empty space. It should work on any connected trace in the volume. It will intentionally not trace over empty space because it is specifically looking for continuous portions of the neuron. For traces over neuronal signal, it is very accurate even when a person’s trace is not. In fact, we think you can now trace even with your toe. We should probably call it Virtual Toe. Now, it’s still new, so we may have missed something. We challenge you to find any connected trace where Virtual Toe creates a weird trace. Special callout to all who find a confirmed bug. Rendering performance is also drastically improved, allowing the game to work on computers with lesser graphics capabilities. Rendering the view is now done in two separate layers, where the volumetric image (3D image) is rendered independently from the “geometry” (edges, nodes, hotspot boundaries, comment boxes, etc.) One nice consequence of this is that we no longer need draw the geometry at 1/3 resolution when we render volume at 1/3 of resolution (e.g. during rotation). Previously, that meant that the entire view became blurry while zooming around, including geometry and text. Now dropping down to a 1/3 resolution is almost unnoticeable. Moving the mouse around, hovering over nodes and comments, virtual finger, deleting nodes and branches and any manipulations that do not require moving the camera (zoom, rotate, pan) will now be much more responsive. We also found a rendering issue that was washing out the neuron signal. You will notice that all volumes now have 20% more contrast in the image. I bet you’ll be able to see more faint signal now than before. Play with the contrast slider, making it brighter will bring out more signal than in the past.